It has been 20 years since McCullough argued that “the computer is inherently a tool for the mind and not for the hands.” Since then there have been tremendous developments in the field of computers. In fact, in today’s era, one can find an array of devices: personal computers, wearables, gaming consoles, sensors etc. that, in addition to being a tool for the mind, are tools for the hands, extending to the entire body. One such example is the Xbox-Kinect assembly. It’s a wonderful piece of hardware that enables people to immerse themselves in the activity they are doing (playing games, exercising, dancing). 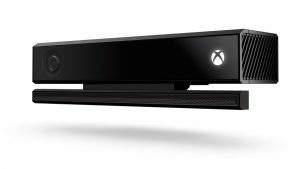 The Kinect is a device that comprises of a variety of sensors such as a 1080p resolution camera, IR sensors, and a four-microphone array. The Kinect captures images and processes 2 Gigabits of data per second to be able to interpret user actions. With the help of these sensors, the Kinect can track up to 6 skeletons at once, read a player’s heart rate, track gestures performed with an Xbox One Controller, scan QR codes to redeem Xbox gift cards, enable an extensive voice command support across the Xbox One system software. When the Xbox One console is in sleep mode, Kinect’s microphone can remain active, so that it can reawaken the console with a voice command. Motion gestures could be used to navigate the Xbox One dashboard interface. Once the Kinect is set up, users can play Kinect-compatible games. I remember playing one game called Kinect Sports that enabled users to play sports as they would naturally play with their hands. One sport in the entire Kinect Sports family is Boxing. This game involves two players to stand next to each other and throw punches in the air. The Kinect and Xbox Assembly translated this to punches against each other in the game on the TV. This was fun to do as people would get beaten up in virtual life with not even a scratch in the real life. Players also have the option to create their avatars to play. This added a personal touch to the game. Kinect is just one example among the tons of devices now available that support interaction not just by the mind but also the hands and the entire body. We are moving into an era where computers are going to be everywhere; from shoes to spoons making us more aware of our surroundings and helping us lead a better life.